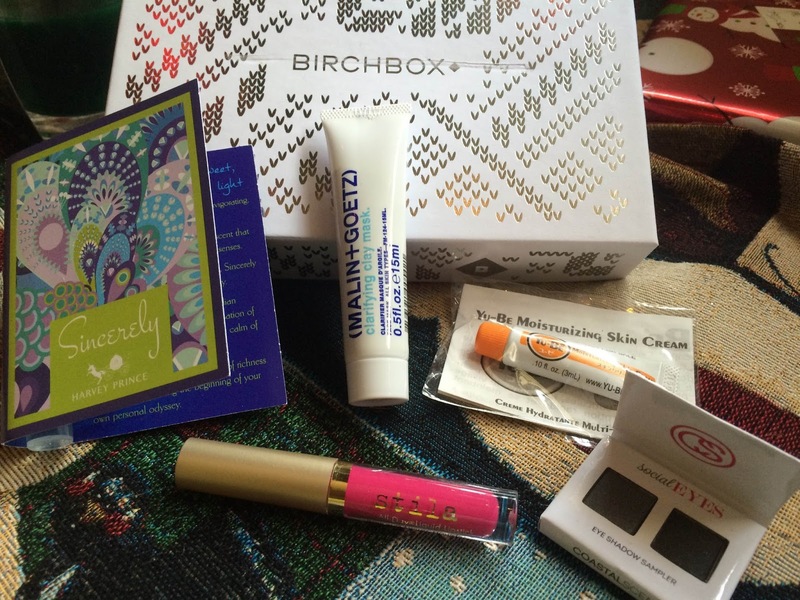 It is month three of my BirchBox subscription and I will have to say that this is not my favorite. The theme for this month was All Wrapped Up, so the items were supposed to be beauty gifts. The box itself was very pretty; it was a pretty silver and white pattern with a neon yellow bottom. Although these are all sample sizes, the full size versions of these products come to about $128. This was a nice mask and you only need to use it once a week for 10 minutes. It did not have a strong scent and had a gentle abrasiveness to it. It left my skin feeling soft after using it. These are nicely pigmented colors that would work beautifully for doing a smokey eye. I am not a big fan of perfumes, but this one smelled fine. It was a sweet and spicy floral scent, that is wearable on a daily basis. I have heard great things about this lipstick so I was excited to try it. It went on creamy, but dried to a matte finish. The color was way too bright for me by itself; it was a shockingly bright neon pink. I had to layer a darker lipstick shade over it to make it wearable, but it was long lasting. I really liked this cream, once the camphor smell faded. It is very moisturizing and soaked in pretty quickly. I used it on my face, neck, and hands. Hey Monica! I love the box! I thought I would like the lippie but its too bright for my skin. Maybe it will look better this summer when I have a tan :) Thanks for visiting!